Wyndemere is a luxurious country club community in prestigious Naples, Florida. Off of Livingston Road and comprised of 634 exquisite residences, Wyndemere is a great place to buy a home in Naples. Real estate options include condos, townhomes, villas and single family estate homes. This 450 acre community of gorgeous green landscaping provides breathtaking views for its residents of placid lakes, picturesque golf courses and tropical landscapes. Wyndemere homes are found in multiple subdivisions including Amblewood, Coco Plum, Glen Meadow, Golf Cottages, Mahogany Bend, Rosemeade, Villa Floresta, Water Oaks and several others. Home buyers have an abundance of options when looking to buy a home in Wyndemere. Real estate prices vary depending upon square footage and property type, with prices starting around $100,000 for a condo and going as high as $1 million plus for a luxurious estate home. Square footage ranges from 1,200 square feet to as high as 5,000 square feet. So whatever you are looking for, Wyndemere has you covered. This exclusive golf community is well-established and boasts gorgeous tree-line streets to welcome you home. Amenities afforded to the fortunate residents in Wyndemere include a 6,200 square foot clubhouse that provides multiple options for both casual and fine dining in its indoor and outdoor lounges. It has boasts a 27 hole championship golf course designed by Arthur Hills. Other features include 12 lit Har-Tru tennis courts, a state-of-the-art tennis court, a spa, an Olympic sized lap pool, a resort style infinity pool, and more. Besides all the luxuries provided residents within Wyndemere, they also have the option of enjoying all that is available in the surrounding area. Wyndemere is just minutes from gorgeous, white sandy beaches of the Gulf. There are numerous dining options on 5th Avenue, and lots of opportunities for high-end shopping and exciting recreation nearby. 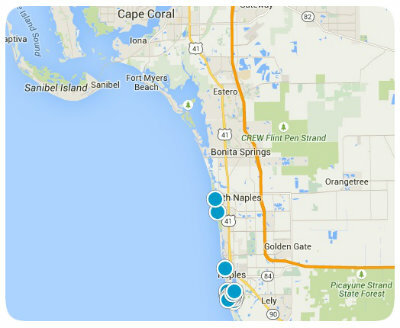 Wyndemere is the place to buy a home in Naples, Florida. If you would like to buy a home in Wyndemere, or have other Naples real estate questions, please do not hesitate to contact us today for more information.